Power up Players! Today I will be going over a preview for the Survival game Fortnite with an expected release date of next year. Fortnite is a Battle Royale, survival-esque game in which you can survive against a horde or go straight into PVP versus 100 other tributes! Sounds familiar? Well that’s because Fortnite can be compared to H1Z1 and Player Unknown Battlegrounds or PUBG, but this survival game is a bit different then its popular predecessors. Production: The game was given 3.5/5 by Microsoft which is a fair score. 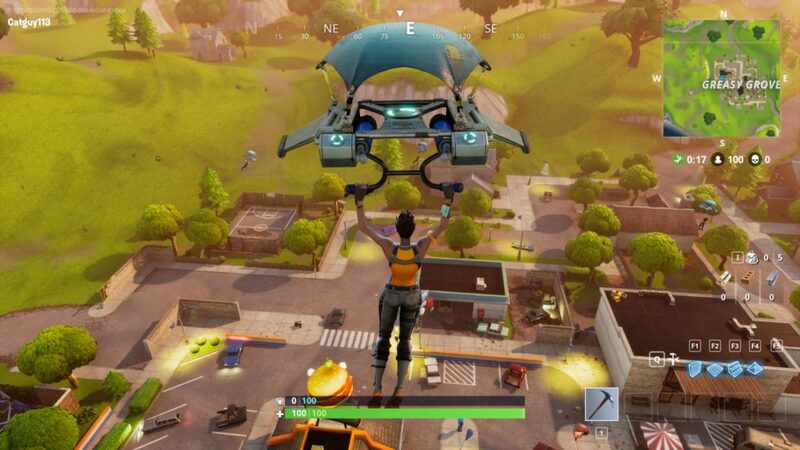 Fortnite is developed by Epic Games & People Can Fly. The game is available on the following Platforms: Microsoft Windows, PlayStation 4, Xbox One, Macintosh operating systems. It is a co-op survival game with both Single and Multiplayer Game Modes. The game is not set to release in full until 2018, however, you are able to play the Early Access Battle Royale Mode, which I have played on PS4. Game Play and Controls: Fortnite is played in 3rd person so you are able to look over your characters head when you are playing. I found the controls easy to use with your standard trigger buttons allowing the player to aim in and shoot their targets. I will say there is a bit of a learning curve when you are cycling through weapons, traps, and equipment. There is a very simple plotline to the Battle Royale; Kill everything and survive. I didn’t make it to the Lone Survivor but my best game I made it to number 9. I also had 6 kills that game so I wasn’t too upset. You can play in a squad or solo against 100 other tributes. You skydive out of a bus onto the battle island below. The player is equipped with a pickaxe and you must scavenge nearby buildings to upgrade your weapons. Pretty simple, right? What makes this game a bit different is the ability to build during your battle. 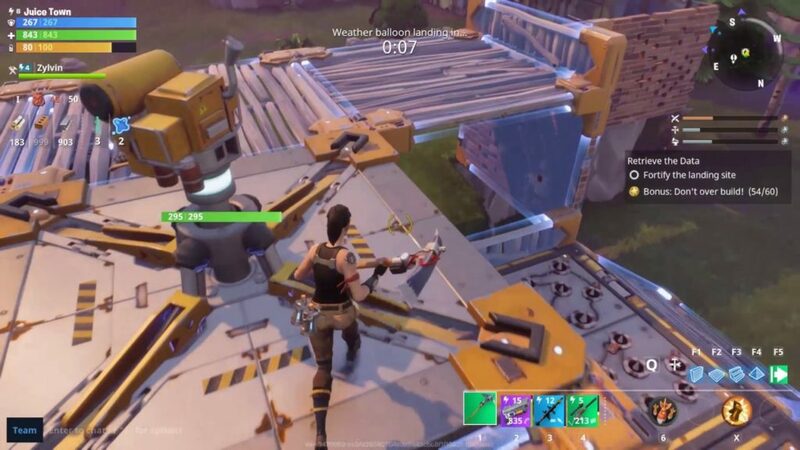 That’s right, you have blueprints pre-installed in your character for different structures that you can build with materials. Think of the possibilities! You are being shot at from an unknown direction, what do you do? Build a small shelter or fort to protect yourself and apply bandages if you have them. So why not just camp in a building? Well the game takes care of our friendly “Campers” by implementing a shrinking storm border. You have to move frequently to make sure that you are inside the eye of the storm, away from damage! If you get caught in the storm you will take damage and die or you make it into the safe zone marked on your map. This mechanic also ensures that the games are not super long. er started to shrink. I was sniped running to safety lol. Manage your time and try to sneak to the safe areas so that you do not meet the fate that I and a few other players did lol. The dynamic with the ability to build a fort, escape route, path etc. makes the game fresh and interesting each play through. The game has medium replay ability if you’re just interested in the multiplayer mode. You can also purchase editions for the game that can give you extra items and awesome perks. Deluxe Edition $35.99 Contains – Rare Starter Hero Pack (8) = 8 Heroes, 4 weapons/1 trap, Exclusive Founders Pistol, 33 Pinata Packs (24 Daily , 4 Exclusive Founder’s Loot, 5 Immediate), 50 extra vault inventory slots, 10 in game Banner Icons, 10 XP Boosts and 10 XP Boosts to share! 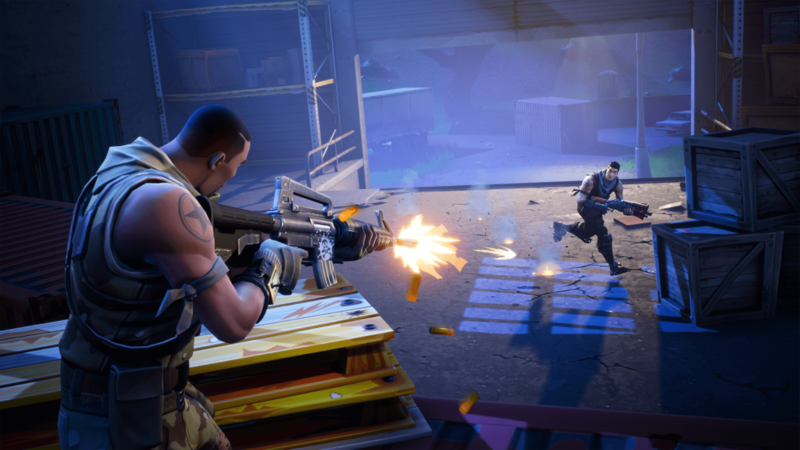 You can read my First Impressions Post for Fortnite and other games on GamersUnitedGG.com or by clicking here! Have you played the Early Access Preview? If you have PS4 and want to play, my PSN ID is Luna26x. Please put in the message that you read the article and want to play! Thank you for reading and game on!